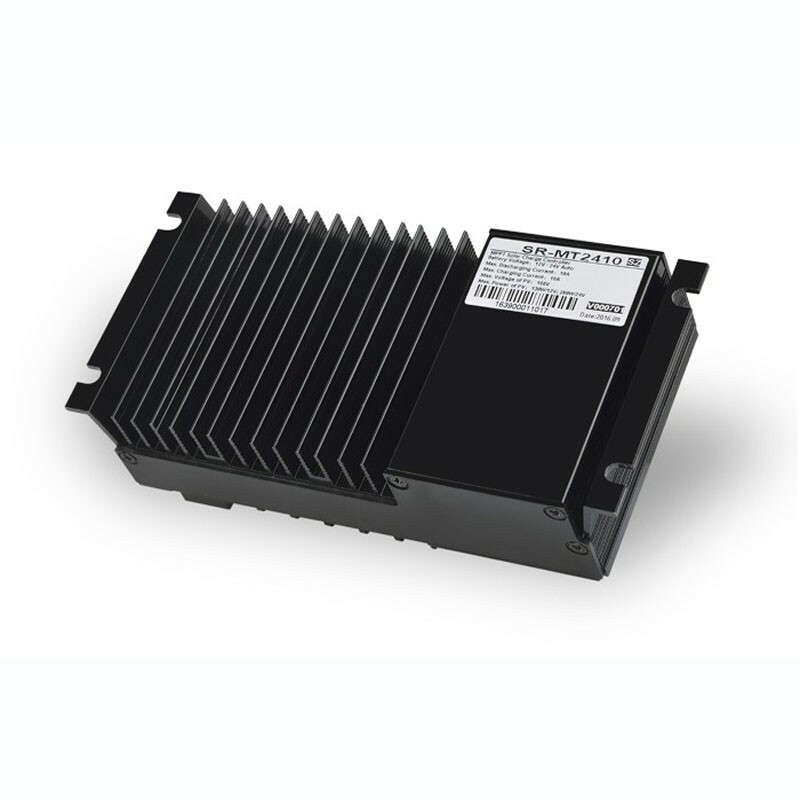 The new SRNE range of solar regulators offers an optimal MPPT tracking efficiency of 99.9% and a 15-20% higher charge efficiency than a PWM. Adopting a dual peak or multiple peak tracing technique, used for the condition when part of the solar panel is under shade or parts of the solar panel are damaged. Integrated maximum power point tracking algorithm that promotes the energy efficiency of the pv system. Charging efficiency is 15% ~ 20% higher than PWM mode. He can find the best working point of the I-V curve in 1 minute. MPPT efficiency can reach 99.9%. Adopts advanced digital power supply techniques that make energy conversion efficiency up to 97%. Four charge levels: MPPT - load-boosting equalization charge-floating charge. 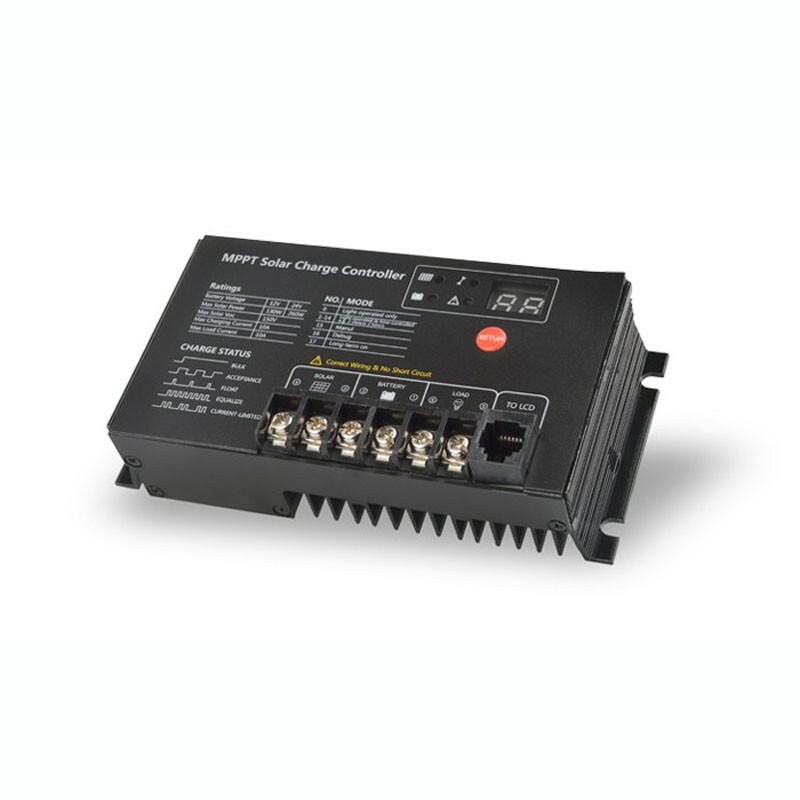 Current limiting load mode: When the power of the solar panel is oversized, the controller automatically reduces the load load, which allows the system to operate under the rated load current. Indicates the fault codes during anomalies, this helps the user to confirm the system failure. Different methods of load control. Automatic recognition of the day-night cycle. 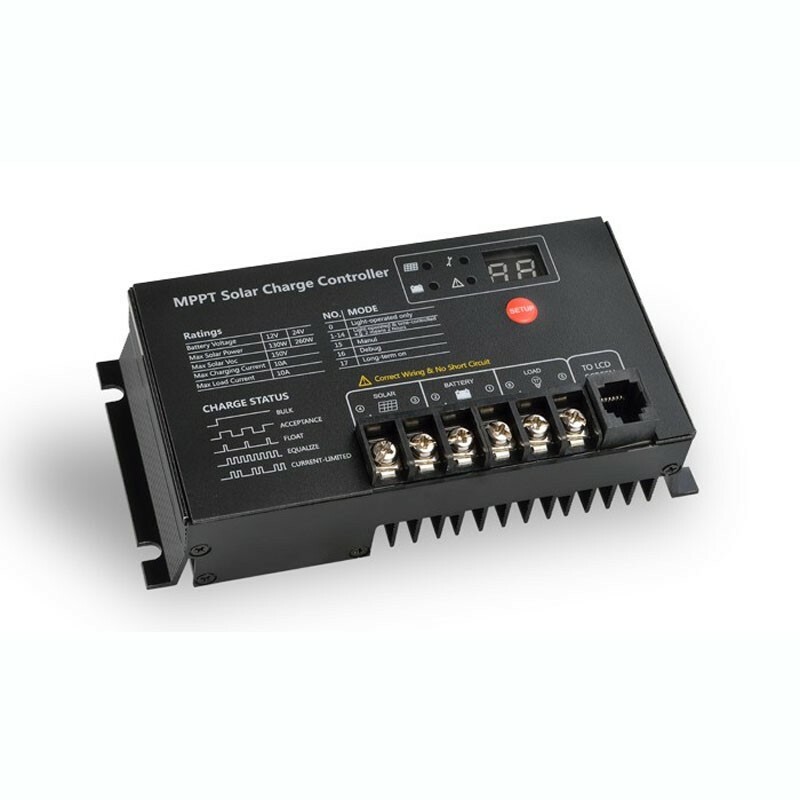 Various system protection functions, including overcurrent, overdischarge, overload, overheating, reverse battery connection and short circuit protection, etc.